Are there any places to get good Georgian food in Istanbul? 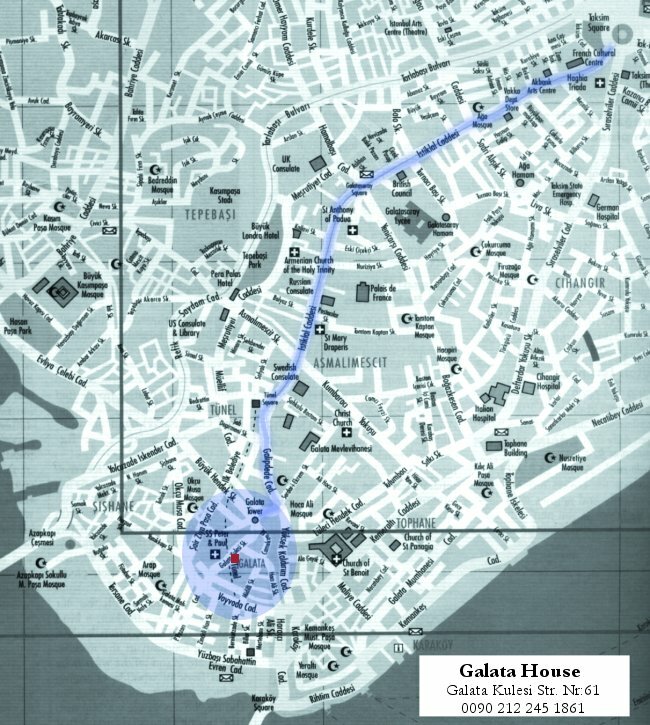 Galata House is a family run restaurant located in Galata neighborhood. The building was used by the British Empire as a Civil Prison in the early 1900s. They serve both Georgian and Russian food. There is also live music (w/ piano) after 8pm. It can be a great spot for a romantic dinner date. Here is their menu. Check out what people said on Lonely Planet, and Tripadvisor. Also, it is a recommended eat by NYTimes-Travel section. The owner couple is very sociable intellects, who architects/city planners. It can be great to hear the stories of the building, and the neighborhood from them. It's on the steep hill that goes to Karakoy from Galata tower. Both Delicious Istanbul & IstanbulEats, said great things about Cafe Euro, in Aksaray. Unfortunately, they say it's closed now. What are the best food blogs about Istanbul? What cafes display local art and culture? Where do you get the best kebab (grill) in Istanbul? Where Can I Find Thai Food in Istanbul? Where can I eat well near the major tourist sites?